Plants have a completely different sensitivity to light colours. Contrary to other lighting applications which are made for humans and valued in luxes, plants consume light and need photons for photosynthesis. The amount and ratio of different wavelengths from the light determine how, and how fast, plants grow and produce crop. 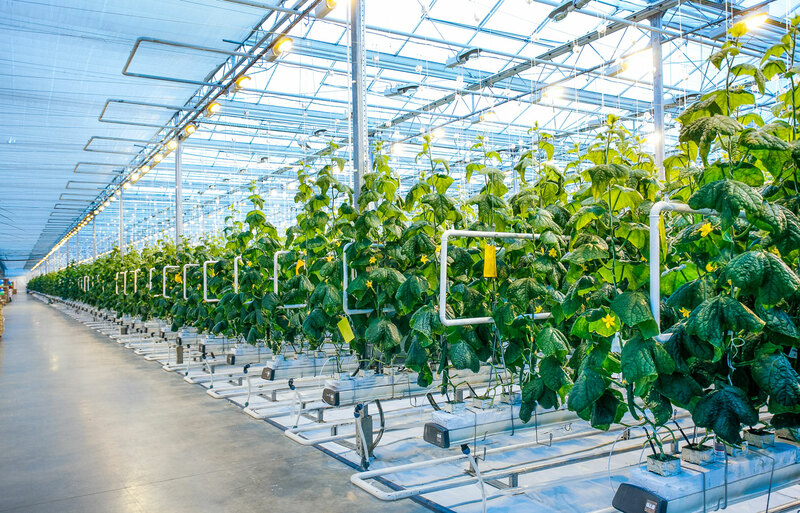 Regardless of different seasons or unstable weather today’s artificially created horticultural lighting can mimic any daylight integral and have stable, optimized growing conditions for each plant. The photosynthetic photon flux (PPF), which comes from the total amount of photosynthetically active radiation (PAR), is what has the most effect on how strong plant growth will be. More PPF means more photons and more power, and this value can be easily measured and used as a parallel to lumens. On the other hand photosynthetic flux density (PPFD) means how many of the photons actually hit their target, and this can be related to luxes. Top lighting – Greenhouses: Illumination of the hall and plants from ceiling level. 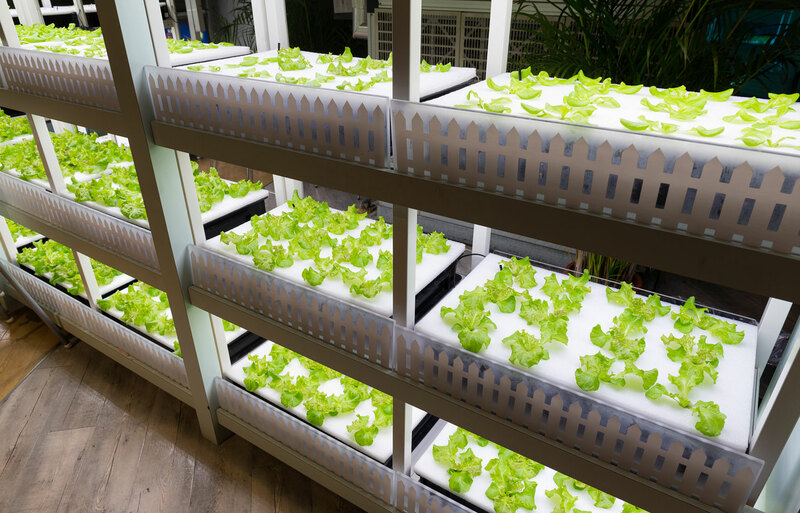 Top lighting – Vertical farming: Illumination from top of the plants at close distance. Intra-canopy: Illumination on the side or in between the plants. The power consumption when converting electricity into PAR photons determines the efficiency of the luminaire, and LEDs are the most energy efficient solution available. In addition to most common toplighting applications where luminaires are placed at ceiling level, LEDs can also be used at much closer distances to plants because of their lower heat radiation. 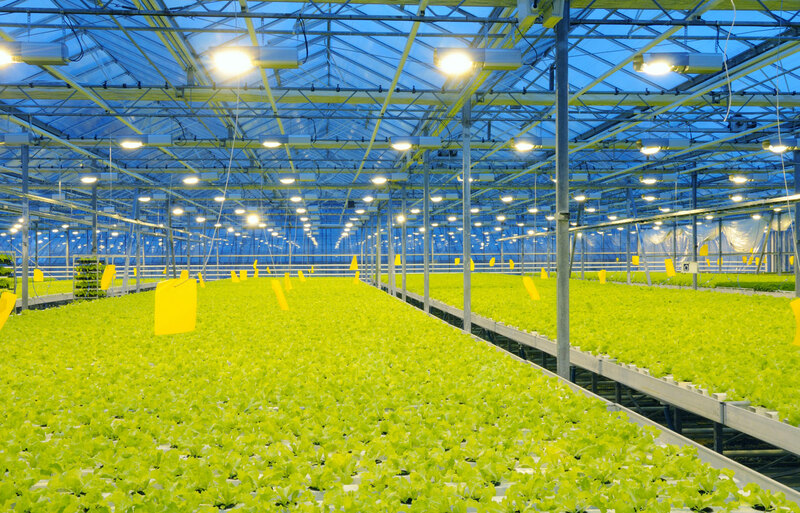 This allows luminaires to be installed much closer to plants to create more dense farms vertically. Mixing different colour LEDs allows better matching of the light spectra for each species and the stage of growth the plant is in. With LEDs the luminaires also have a much longer lifetime and lower maintenance needs.